Expert Lawn Care service for properties both large and small. From a simple mow, to full detailing, we've got you covered. Professional Landscaping Services will give you the lawn you have always dreamed of owning. One that makes your neighbors jealous. 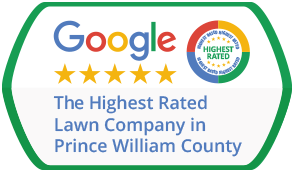 When you want Dependable Lawn Care Service at Exceptional Standards, you want Precision Lawn & Landscape in Woodbridge, Montclair, Dumfries, Dale City & Manassas Virginia. We’ve been in the lawn maintenance business since 2006 and we are here to stay. We are dedicated to dependability and quality but you don’t have to take our word for it. Feel free to ask us for referrals from our many satisfied clients. Our commitment to professionalism also shines through in the way we manage our company. We are fully licensed and insured. We also take special care to maintain our trucks and equipment in clean and working order. All of our personnel are uniformed, go through our rigorous training program and utilize state of the art management software while on the job and on your property. Precision Lawn & Landscape will always be able to tell you who it was that serviced your property. You can trust our lawn care technicians to always show up on the scheduled days, or inform you if any weather delays prevent them for fulfilling their obligations. Our clients’ personal information is treated with the utmost care for safety and security and we practice a No Contract policy for all our maintenance services – we are that confident that you will want to stay with us. The entire Precision Lawn & Landscape team takes great pride in delivering on high standards and true professionalism. We will work hard to earn your trust and make sure you are fully satisfied with everything we do. We want you to become a returning client and recommend Precision Lawn & Landscape to your friends and neighbors. No paid advertising can match up with our clients’ positive feedback and experiences. We do more than just deliver a simple service. Our mission is to offer our clients a experience unlike anything they’ve had before with other cut and run lawn care companies. If you are not 100% satisfied with the service you receive, we will come out and correct the problem, free of charge. And if you are still not satisfied with your maintenance service, we will pay the local company of your choice to correct it. That is how sure we are that you will be completely thrilled with your experience using Precision Lawn & Landscape. The Precision Lawn & Landscape experience starts with a simple phone call, free estimate request, or email. Since we’re genuinely dedicated to our profession, you can be sure there is always someone there to take your call. Call us today for a no pressure 1-on-1 lawn consultation!